Winery: Brother and sister Andrea and Francesca Sperone are the 4th generation of the winemaking Sperone family. With 75 acres of vineyards in Piedmont, the family has a built a reputation for crafting “affordable premium wines”. 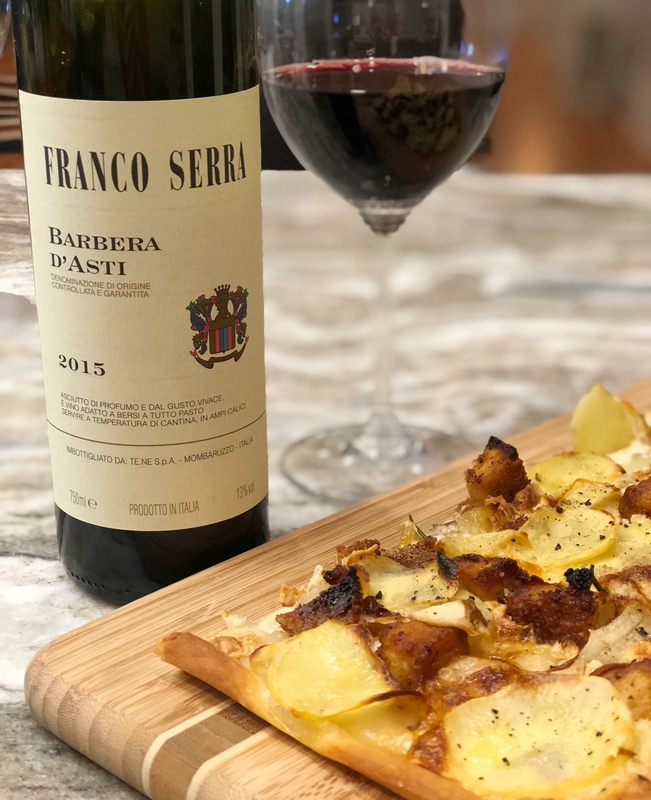 The Franco Serra brand is intended to provide “provides everyone with the opportunity to drink thoughtfully crafted, distinctive wines from Italy’s most renowned region”. Winemaking: Vineyards are certified sustainable. Grapes are hand harvested, followed by 10 days of maceration and two weeks of fermentation in stainless steel at 75°F. Aged for 3 months in the bottle before release. Pairing Suggestions from the Winery: Pairs well with hearty Italian fare and spicy dishes.